Mr President, It’s A B C ! Mr President, please do get a brief from your hundreds of experts and advisors hanging around you (at a colossal cost to the tax payer) before you open your mouth. When you speak, you should speak responsibly and as a Head of State. This is applicable whether you address a global or local audience. Your statement that the Christians are lying about the 168 attacks on them this year shows your lack of understanding of the different religious persecutions that are a cancer in the country that you preside over. When dumb asses without their O/L qualifications are elected to our Legislature, you can certainly be excused for your lack of knowledge of other religions, but there is no excuse when you do not consult your army of advisors. A respected lawyer with over 15 years of experience in handling hate crimes against his community and Muslims, Lakshan Dias spoke out in the Derena TV programme ‘Aluth Parlimentuwa’ that there had been 168 cases of violence and threats to the Evangelical Christians by Buddhist extremists. He failed to mention that the Evangelical Christians had over 550 incidents during the last two years of the Rajapaksa regime. He also knew of the five hundred odd incidents against the Muslims during the Rajapaksa era and more than hundred during the Yahapalanaya rule. Interestingly, in breaking news Minister of Justice and Buddha Sasana Minister, Wijeyadasa Rajapakshe appeared in the Independent Television Networks (ITN) 6.30 news of 17th June 2017 demanding an apology from Lawyer Lakshan Dias within 24 hours or face delisting as a lawyer for falsely claiming that the Christians are under attack in the peaceful land of the Buddha. Wonder if Wijeyadasa Rajapakshe who is a Presidents Counsel, a one time head of the Bar Association of Sri Lanka and current Minister of Justice, knows that he has no authority or jurisdiction to delist a lawyer as he is not the appointing authority. He doesn’t realize that Lakshan Dias is a battle hardened activists who could not be intimidated in to silence by his cowardly statements. Its time, Lakshan sued this racist Minister for damages caused to his career by insinuating that lawyer Lakshan Dias lied. The Bar Association of Sri Lanka, of which Lakshan is a member should immediately call for the resignation of Wijeyadasa Rajapakshe from the justice ministry. The Prime Minister would do well to remove this Rajapakshe mole from the Yahapalanaya cabinet. Little does Wijeyadasa Rajapakshe realize that he should have been delisted for his corruption charges in the Avante Garde scandal? During the last decade hundreds of prayer centres belonging to the evangelical Christians have been destroyed, adherents assaulted and intimidated. Most of the current day “raids” by Buddhist extremists on their prayer centres are streamed live on social media. Most of the time, Police and local government authorities accompany them to forcibly close down these centres, which proves State sanction of racism. The usual charge is that they are involved in unethical conversations or conducting prayers in private buildings. A detailed list of incidents that have been reported against the evangelical Christians is attached herewith. The National Evangelical Christian Association of Sri Lanka (NCEASL) has meticulously documented every incident with photo evidence. Most of these attacks have police complaints lodged. Booklets have been published and pubic workshops held to discuss and find solutions to this hate campaign. Their voices were not heard loud enough. Clear evidence that the President and Minister of Justice have not heard about the attacks on these innocent members of the Protestant church on whom the Catholic church has declared war. The initial attacks on the evangelical Christians were by the forces that came together as the Hela Urumaya. Even some of their offices were taken over by the Buddhist extremists after driving them out. The Sri Lankan Constitution states, “Every person is entitled to freedom of thought, conscience and religion, including the freedom to have or to adopt a religion or belief of his choice”. The Constitution gives a citizen, “the right either by himself or in association with others, and either in public or in private, to manifest his religion or belief in worship, observance, practice, or teaching”. The UN declaration of human rights states, “Everyone has the right to freedom of thought, conscience and religion; this right includes freedom to change his religion or belief, and freedom, either alone or in community with others and in public or private, to manifest his religion or belief in teaching, practice, worship and observance”. This constitutional provision seems to be applicable only to the Buddhists in the country. The Muslims and the Christian community have been targeted in attempts like the Myanmar style ethnic cleansing by a small minority within the Buddhist community. The sad reality is that successive governments have turned a blind eye to this blatant violation of rights of minorities to appease the Sinhala majority. The thirty-year ethnic war that ended in 2009 cost over 300,000 Sri Lankan lives. The financial cost of the war has driven us to bankruptcy. The stage is being set again for vested interests to destabilize the nation. The defeated Rajapaksas seem to be fueling the ethnic fires so that their hopes of returning to political power becomes a reality. By then, the religious minorities would have been eliminated, or Sri Lanka will regretfully face a worse war when international terrorists set foot in our beautiful land, taking advantage of the hate that is being created. Presidents declaration that there are no attacks on Christians 9 minutes 51 secs. The problem could be that HE may not know the alphabet!! 166 Churches were attacked???? A blatant lie. A despicable attempt to incite Christians against Buddhists. The Police should arrest Lakshan Dias and charge him for his deliberate attempt for religious tension. Livera’s attempt to attach President’s educational qualifications to the matter is not only disgusting but also shows his low class and tainted morality. Do you know that 10 famous American Presidents didn’t possess College Degrees, including Harry Truman, Abraham Lincoln and George Washington??? Did you ever check the education qualifications of D.S. Senanayake who is named as “Father of the Nation”? A Lawyer or non-Lawyer, that man has no right to utter brazen lies to tarnish the image of our Nation. Is he jobless these days? Looks like he is in need of some cases to meet his ends. Given the sensitivity of the matter, Media Institutions should be cautious in allowing their platform to be used for unsubstantiated allegations/any attempts to incite religious tension. President was spot on by denying Lashman Dias’s bogus statement. Colombo Archbishop, of whom Buddhists have lot of respect, categorically denied any such attacks. Maha Sanga should come forward in support of the President and denounce Lakshan Dias’s cowardly attempt. The “planted Muslim Drama” against Buddhists is fortunately coming to an end. Lakshan Dias seems to be trying to pick up the tail end of it to create another against Buddhists. The more we are silent, the more and more bogus allegations will emerge. Lakshan Dias should be punished according to the law. If he is a Lawyer, his punishment should be doubled for knowingly uttering deliberate lies which would otherwise have a cause for religious tension, if not for President’s swift denial. Thank you, Mr. President for your prompt intervention which induced the Archbishop to confirm your denial. You seem to be unpaid or underpaid by your “customers” these days. My sympathies. Try someone else, ‘cos I don’t schedule my seduction. I am not that desperate and you are not that lucky. Control your “whoremones” man. C.T., lets keep these debates clean and specific. K soysa —— Good point for the benefit of the abuser. This is not the first. I have been subject to worst kind from many others.. As always my replies were edited and the abuser goes on. I am enjoying my right to reply for the first time. I wish you were sane to intervene in other instances too which I ignored. I show no sympathy to any personal insults on me anymore. This Devlota guy sounds a creep . Tyrone, your comments show that you cannot have a civilised debate and they also show what kind of man you are. Nothing more needs to be said about your views and the people you support. The writer of article featured here is no different. Tyronne, your comment shows the attitude and thinking of you and the people you support. If you are so hard up, come to me and drop your pants. I’ll do justice to your posterior. Champa———-“166 Churches were attacked???? A blatant lie. A despicable attempt to incite Christians against Buddhists. “———– When you deny it even if it is lie, I will take it as the truth. The evidence is in the past. By the way why your saffron clad child thugs are in the front? Why do the fascist thugs burn all the books? —————–It is interesting to note as to why the Sinhala/Buddhist thugs burnt down the Jaffna Public Library. Is in’t in their genetics? Native Vedda—— No, as obvious he has ulterior motives. He may have thought the time is perfect to try inciting Christians. If the President wasn’t quick to deny, just two days enough, we would have seen attacks on Churches out of the blue. Burning down of Jaffna Library has no connection to Buddhists. It was political. UNP government was behind it same as 1983 riots. Let’s face the facts. 70.2% are Buddhists, but ONLY ONE Buddhist Monk is (wrongfully) accused for arousing tension. Tamils are only 11% (2012), but over two dozens of Tamil Politicians are accused for racism and extremism. Same story goes with Muslims where there are only 9%. The problem is not with Buddhists. The problem is with the minority. They try to blackmail and bargain with Sinhalese politicians by way of religious riots. For an example: when Muslim shops/Mosques were attacked, Muslim politicians were quick to threaten the Government that they would sit in the Opposition, if Gnanasara Thero was not arrested or if no action was taken. Sinhalese politicians need not to give into this anymore. This is not fair. We can easily address this issue peacefully. I REALLY dont think Prez would not adequate attention on this. He is a sensitive person compared to former Meeharaka Rajaakshe. But he has to listen to Father Malcom or any higher clergy. If the highest person responsible for lanken Church confirms that way, so what mor etalk you need to. In this country, now being addicted to SOCIAL MEDIA; every simple simon keep adding their derogatory comments regardless of any respect. But most of them call themselves buddhists. But as a buddhist, I am very ashamed to call them as buddhists, since we the buddhist are taught not ot respect any kind of violence. Not to support or create new kind of communal violence. I really want DEHRANA to be banned on LANKEN soil. This particular Gewindu should be taken to custody. He has always been supporting communal violators. Sowed during MR regime. Now we have a farmer President seemingly unwilling to nip in the bud of a poisonous fruit. Why blame the politician when the Cardinal is backing it up? The cardinal is catholic and he is the one who started the persecution of the evangelical christians during the time of Mahinda Rajapaksa. Shiranthi remains a catholic and the cardinal kisses her as… and follows her dictates. Now, he is taking the grama sevaka who doesnt know the difference between protestants and catholics for a jolly good ride. The problem is contrary to many think, this so called Cardinal is not the head of all Christians in Sri Lanka. He head a sector, a powerful sector called Roman Catholics. The new churches called “Evangelical Christians” reject Roman Catholic (RC)Church in principal, and many from RC move out to different churches. So, in many places, RC churches too are against Evangelical Churches. In fact, RC does not recognize evangelical churches as Christian churches at all. So, This Malcom Ranjit may be technically correct, according to his belief, as none of his church or none of the churches he recognize as church is attacked. I suspected it. It is the Evangelical church and the Wahabi muslims who are complaining. This guy has come to a TV program but he doe snot have data to support it. He talks vague. What a stupid story. Whabia have attacked other sects muslim mosques. Wahabis have attacked Hindu temples in the East and have bulldozed buddhist temples. Besides, simply why he can not present data to the program. Why is that ? The simple question. The article says 168. This guy says 195. But, why he cannot present the list in the TV program ?. Why Colombo bishop is not informed. It is All american miney and business. Evengelical church is a business cult. South Korea also that kind of melodrama, just business and probably Spy agnecies behind too. Thi sis very right. There is a program called ” daham pahana” run by Brother charls. I am born buddhist in SL, as I respect all other religious adherents, I do watch his programs. I dont think he HAS GOT through OLVELS but the message – peaceful message being sent by this particular gentleman is huge. I dont htink any University DON OF THE day could do the job as Charls does. His message is clear that we are all srilankens and have to rally round behind VILLAGE temple if peace and harmony should prevail in this country. He is not betraying his Christianity in that effort but doing a great job. Also in Germany there are few politciians that have no degrees but have done well in thie political carrier. Ther eare also very many candidates in the world that have done well without proper school education. Depending on their individual cases they each have faced it. All this nonsense because of the absence of the rule of law. IF the police did its duty in pursuing the culprits in each and every instance we will find out who is at the root of all this. Meanwhile, the rest of the world looks on and sees in Sri Lanka a land of intolerance, festering with hatred. People will question the judgement of The Buddha for entrusting care of the Noble Message to Sri Lanka. Meanwhile, as all this happens, our Police (and National Intelligence) cannot find the Dark Monk Gnanasara. (Here’s a tip: he is unshaven and wears a dirty saffron robe, and is currently holed up in a house belonging to a very very high up, overlooking the cool green trees of Kurunduwatte). This evil sub-human has made persecution of the minorities fashionable. “They seek him here, they seek him there, Those khaki’s seek him everywhere. Is he in heaven or is he in hell? That damned elusive saffron Pimpernel”. “Balla rata gihillada” or Rata Ballata gihillada” now it should be very easy to answer this question. only achievement is 50 years of negative progress. Recently there was an article in BBC which ask the question the whether Sri lanka is for sale because of the massive debts it borrows every month to survive. We all know that Evangelical Christians are under attack. The President, the Christian “Affairs” Minister and all know that. Yet, they live in denial. It is written in the Bible that we Christians will be under attack “for His (Jesus”s) name….” in these last days. It is also written that no earthly power can stop God’s work. It is also written “that every knee will bow and every tongue confess that Jesus Christ is Lord. Those on the earth, above the earth and beneath the earth will ALL do so. Deal Das seeking Old Brother Prince’s end by stepping in that foot steps. 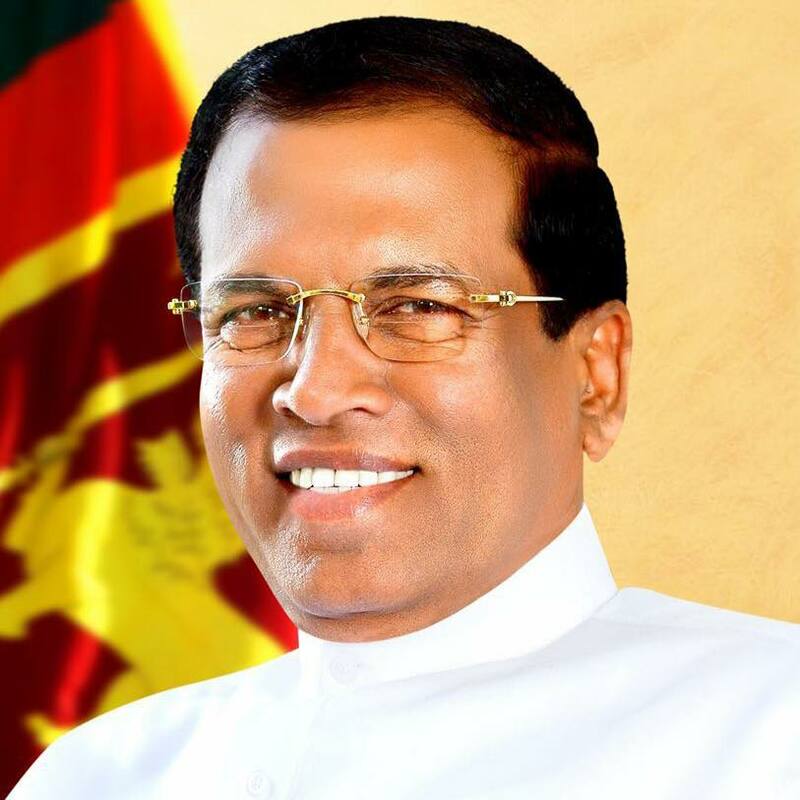 The Prime Minister mole can not afford to remove all moles, The Mangalam mole, The Ranjitham mole, The Dasam Mole… All the UNP Moles went to SLFP, when UNP lost and many SLFP Moles came to UNP, when their ship was sinking. When CV tried to remove a TELO minister, he went and join the FP to bring no confidence motion against CV. Instead of that risky move, Foxy Ranil will save Dasam and Old Brother Prince, the Dasam’s idol, together. That is how he solve problems usually. I watched this “Aluth Parlimenthuwa” TV programe live. If you can get this on Utube, please watch it to a finish. It was disgusting to watch how the so called “Civil Society” activists make presentations on matters of public concern. To say the least, it was (many other such discussions) turned out to be “Dog Fights”. If this is the behavioral patterns of the “Social Activists” what more can you expect from the ordinary people. What example do they provide to the viewers? Can anyone gather information, knowledge and other circumstances from these types of public discussions in relation to matters of public concern ? The above clip of the programme does not cover the opinion expressed by Mr. Govindu Kumaranathunga. He was the main culprit who put the whole discussion out of context and dragged it to this ugly level. The moderator being a lawyer himself tried his best to bring back sense and discipline; but failed. So what do you expect when these types of EXTREMISTS and call themselves “Social Activists” gather to discuss matters of “Public Concerns”? No wonder the PEOPLE are getting disturbed , disillusioned and unwittingly prompted to take the Law into their hands. In response, just hear what the Minister of Justice says. He even dragged the Bishop of the Catholic Church to clarify matters that have been complained by a different “Sect” of Christianity. That will lead another “CLASH”. What a “Circus” and “Game”, we are watching? I am so proud to read your posts That prove repeatedly I am not the only person to see Derana programs ingeneral are like adding fuel to the buring fire. This particular Gewindu Kumaranathunga has been unique to his fairy tales about lanken issues. He the like men are born frogs in well mentality holders. I question myself why the people are made to think so. As nothing else the west would have, besides, srilanka is no means a target for west – as we the ones have long been on the west see it. You are dead right to say, that the particular Lawyer as a the moderator has no whatsoever unbiased nature of raising his points. I think particular DHEREANA TV sender should be entiteled to warnings. WE NEED PRESS FREEDOM but some senders of that devious nature makes every effort to allow extremists to promote their thoughts. Media Minister should take actions in this regard. Dherana is believed to have been formed by the black money of Rajakashe Men: There is a case against Derana OWNER which is bieng investigated by FCID for the last few months. These men have been manipulating sinhala diasphora living in Korea for their funding programs. MR et al is also very close to the activities of Dherana sender. I have studied it closely, Dherana Journalists travels to Korea almost every other month or so, to meet and update the sinhala community there. Those labourers living in Korea would believe any blant lies being passed to them. So ist the case with Diasphora folks living in Italy Both kin dof workers are just skilled workers. They the peope in UK and Australia or any other developed world would not buy the thoughts being passed to them by Derana. No, no, no. Don’t take this on “Derana”. Using this issue to fulfill your personal grudges is cheap as proven in your antepenultimate, penultimate and last para. I am not a Rajapaksa fan, but there is no logic in what you say. You should get angry with the Conspirator, not with the Host who exposed him and encouraged dialogue. Your suggestion for Media Minister to take action on “Derana” shows your true intent. Media Minister has no right to take any action against “Derana” on this, as it was not the Host but the Guest, Lakshan Dias who made unfounded unsubstantiated allegations and tried to use false propaganda to create religious tension. The Cardinal did the right thing to diffuse any possible tension as expected by any respectable Religious Leader. The various sects Christians said to have, have no bearing on this matter as Lakshan mentioned Churches in general. Gevindu Kumaratunga has every right to talk on behalf of Sinhalese and bring forth any issues that are of greatest important to the country, for discussion. He is only enjoying his freedom of speech like you all. What right do you have to suggest him an extremist? The Cardinal will certainly have to answer to his Lord for not speaking the truth nor showing compassion to his bretheren, in this case, who worship the same Lord. Like Angola, Sri Lanka should ban Evangelical christianity as it is a cult. Wahabism also should be banned because of its’ violent nature. Jimsofty the dimwit———“Sri Lanka should ban Evangelical christianity as it is a cult.” —–“Wahabism also should be banned because of its’ violent nature.” ———-Why? If anything we should liberate Sinhalese from Sinhala/Buddhists and Buddhism from Sinhala/Buddhism. Dumb Native Veddo: Go back to Tamilnadu. We look after our work. Probably that King Wimala dharmasooriya, Don Juan dhramapala, christian guy was your Bappa and you are the one and only illigitimate son. Christians are never violent. Jesus could have asked for a legion or more worrier angels to defend Him when He was arrested, but He willingly went to the cross as that was His mission. Likewise, Christians are clearly told not to take-up the sword against others. Paul and every other Apostle died violent deaths (except John). Many Christians have died for their faith. We have been told that we believers will be persecuted and persecution is rampant even in the United States, Canada, England, France etc. If you read the Scriptures you will know WHY persecution of Jesus’s believers are rampant in these last days. As for “banning Christianity”, many, many tried that from the times of Nero, who set fire to Rome to eradicate Christianity, and also put believers in the “games” to be eaten by lions. Since then, the Spanish Inquisition failed as did Hitler, Stalin, and Mao and others. The Evangelical Church of China is the fastest growing church in the world. Believe it!! Christianity started with just ONE devoted woman looking into the grave of Jesus and seeing it empty, and she led a few of His disciples to the site and in very small groups of tens, and twenties and larger numbers, the Church has grown and WILL continue to expand till ALL have HEARD the Message of Salvation. They may not become Christians but we are told to SHARE the Gospels with all peoples. Jesus said “Heaven and earth will pass away but My word will, by no means pass away” Read Mathew 24:35 AND Luke 21:33. The debate has been cleverly digressed to numbers. It should be about any “religion divide” attacks at all. “The President …………asks the head of the Catholic Church whether this claim made by a Christian activist in a TV show is authentic……….”. Shows he does not have confidence in Lankan Police. “Minister of Justice and Buddha Sasana Minister, Wijeyadasa Rajapakshe………. demanding an apology from Lawyer Lakshan Dias within 24 hours or face delisting as a lawyer for falsely claiming that the Christians are under attack in the peaceful land of the Buddha………”. He feels that his time is better spent looking for (or after! )the infamous fugitive. Unfortunately, most Sri Lankans think that all Christians are catholic. They are unaware that there are many other christian denominations. Obviously, President Sirisena is as ill-informed. Malcolm Cardinal Ranjith, knows better. He also knows that there have been catholic places of worship that have been attacked or threatened in the last several years. However, the larger number of attacks have been on non-catholic christian places of worship. When the Cardinal denied that catholic churches had been attacked, he should have have had the grace to acknowledge the attacks on other christian places of worship. It does not matter whether these are catholic places of worship or of other christian denominations. The fact of the matter is that anti-religious and anti-minority hatred is being promoted in this country, and we must all stand together, irrespective of who are what we are to oppose such behaviour. As a catholic it is disappointing that Cardinal Ranjith fails to speak for other christians and other faiths. Just two days ago, Pope Francis joined world religious leaders, which included the Archbishop of Cantebury, the Dalai Lama, a Muslim Cleric and Rabbi’s to appeal to all people to make friends with each other, with the aim of fostering mutual understanding and easing tensions. Well, anti-Majority hatred is more prominent in Sri Lanka than any other country in the world! Champa—————“Well, anti-Majority hatred is more prominent in Sri Lanka than any other country in the world!” ————– Could we have cite of the comparative study. Perhaps the pain and suffering in the hands of majority is unbearable hence it is reflected in reciprocal hatred.———————Express compassion they too will reciprocate the same. You being part of the noisy fascist minority you are incapable of experiencing compassion. If it not for the compassion of Sinhalese Buddhists, there will only be Sinhalese in this country. When religiosity is more, religious hatred is more too, regardless of who hates who. SL is world’s 4th religious country with Ethiopia, Malawi and Niger above us. Thank god, our religious faith has put us at least in 1 top five list. Evangelists are the curse of Christians. They are no angels but trouble makers. Buddhists, Muslims and Hindus peacefully coexisted with Roman Catholics for hundreds of years. It is the advent of Evangelists and preachers into our society was the root of instability communal disturbances. Why should not the govt prosecute those who involved in this TV program for inciting hate speech. It is all lies in order to promote hatred towards buddhist monks and Sinhala buddhists. Will the law enforcement look into it ?. This includes CT which publish these articles. It is very common now. Evangelical Christians as well as muslims buy lands every where and build churches/mosques. Some mahapola lands have become churches. Sajith Pemadasa is silent. Muslims have gone one step further. they convert business places to mosques and if people demolish it, they say a 400 year old or an ancient mosques is demolished. Anyway, the list should be either 168 or 195 unauthorized buildings as christians say in the Derana TV programs. We see here only one. but, there should be far more than that, and all need to be demolished as they are illegal dwellings or gathering places in which fire regulations are not implemented and proper building codes are not followed. Are those actually Buddhist monks attacking the Hikkaduwa Christian centre, or hired thugs in robes?! Buddhist principles are pretty much dead in SL either way. An idiot like me always demand for evidence and proof to support one’s views. Donkeys who can’t provide proof, remain as donkeys while idiots like me warn people not to buy fictional stories. Donkeys have nothing but unfounded, unsubstantiated allegations. Without us, the majority will believe that ALL LIES ARE TRUE. Yeah, I agree, when Sinhalese Buddhists start talking the truth, it hurts right? The Voice of Buddhists were not that strong before. We used to accept both good and bad with equanimity as taught in Buddhism. Bogus allegations against Buddhists are like mushrooms which come from space. If we continue to follow equanimity and don’t pick lethal mushrooms, Sinhalese Buddhists shall become extinct. Now we are talking, the world listens. The pitch is open guys. Your fielding is super weak and hopeless. By your own admission, you lot of idiots are no longer Buddhists..
Go call yourselves some other label, in line with your insecure, extremist views. Let me ask you something..if ‘Sinhalese Buddhists’ become ‘extinct’, so what? So be it, I’d say. What is needed in this world is goodness, not some idiots like you trying to cling on to some cultural baggage. I am proudly Sinhalese, man. Though a secular nonentity like you don’t have a religion, I have a religion. I am very proud to be a Sinhalese Buddhist. You say, “so what, if Buddhism extinct, be it”? Even in your wildest dreams it will never happen. Sri Lanka is a Sinhalese Buddhist country. This country was protected by our Sinhalese Buddhist Kings for thousands of years, not by Tamil invaders or Muslim traders. While invaders and traders try to destroy my country, we try to protect the country. Only we feel the pain and not you or them, is because we are Buddhists. We have pure Sinhalese blood in our veins. This is our country. Call yourself a Buddhist? No hope for humanity at this rate.. I am sorry to say that your guys have to live with it. This is thing happens every where in the developing world. Majority rules. This is the reality. All because of poverty and corruption. It is regrettable both WR and MS are talking as if they are living in Disneyland busy with their side incomes. Best joke is that they consult Cardinal MR when the govt. maintains so many authorities to maintain such records. Why not consult AG? Why not consult Information Dept.? When ordinary public are aware of such wrong doing, surprising to hear ‘bana’ from both WR and MS about Attoney LD’s comments of the incidents. WR talks as if he is the Judge (extreme corrupt authority). Both these idiots should be sent home at the next election. Champa: Thank you. You asked me: “What right I have to call Mr. Govindu an extremist”. I recognize his right to speak for Sinhalese. I have “equal right” to speak for ALL CITIZENS of the country. My concern is that whenever he participates in a discussion, after a while he gets emotional and agitated and without reason misdirect the main subject matter completely out of context. This was and is my observation. Other than that, let him maintain his right as long long as he does not “hijack” the programme to a direction of his choice. In doing so and in observing it, I have formed an opinion of him as an “extremist”. You would say I am wrong; but I have the RIGHT to form my opinion. I urge you to be an “Independent” observer at the next programme he (Mr. Govindu) participates and let me know your opinion. Thank you. Well, your opinion of an “extremist” is totally wrong. You have done an injustice to him by calling him an extremist without even knowing the meaning of the word. Anyway, your explanation is accepted. If you think that it is your right to call him an extremist, then I shall exercise my right to correct your opinion and do justice to him. I do this to anybody, no matter who. Thank you. ‘Economy next’ has a report of the attacks at two small Evangelical churches in Hikkaduwa over the week-end’ The men in yellow robes were acting like deminized hooligans, and is a disgrace to humanity. Their language and actions are no comparison to the ‘sublime, Buddhist principles and doctrine. Cardinal Ranjit and H.E the President and the I.G.P. and all others should be ashamed. Moderators seem to have removed some comments but there are very vulgar comments against people like Champa who had the guts to oppose this article. This shows that the moderators are biased. Publish this, and delete the vulgar comments here, and reply to me, moderators, if you are fair.